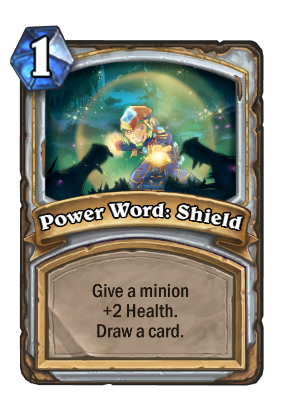 This card seems to be not popular as it was a few months ago since i don't see it in many priest decks. That might be mostly because of spiteful decks and big decks. Statistics are broken, druid runs Aya Blackpaw 122.17% of the time. Ever wanted to run a 28-card deck? Well, you can't, but use two copies of this and you'll come close. 1 mana for a solid effect and it replaces itself? Yes, please! Probably one of the best cards in the game. A wonderful card. Cycles itself.